Click to add a short introduction here. Give your visitors an overview of what you sell, your pricing philosophy, or information on new items or promotions. 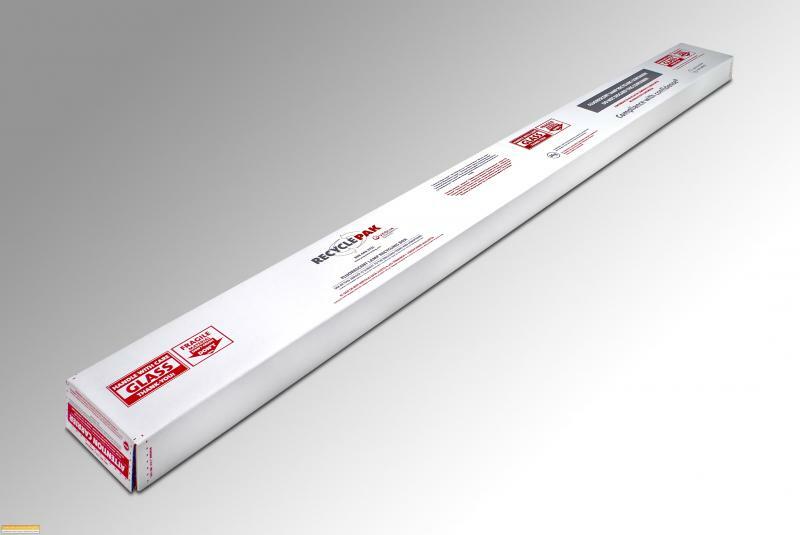 Let them know why your products are the best! Hint: No longer want to sell your products or services directly from this page? You can deactivate PayPal anytime. Click the "Page Settings" link at the top of your screen to remove PayPal buttons from this page. RETURN POLICY APPLIES. SEE POLICY FOR DETAILS. 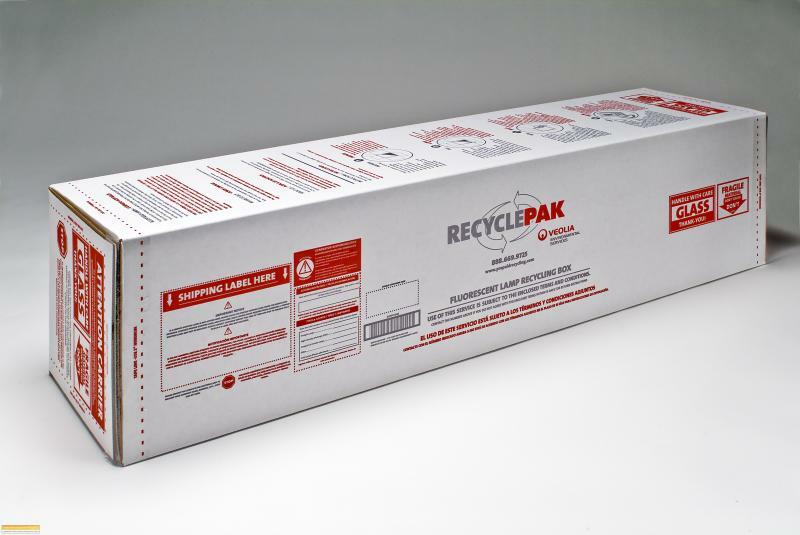 8.5" x 8.5" x 48"
Includes: UN RATED, DOT APPROVED RECYCLING CONTAINER, 6 MIL POLY LINER, LINER TIE, INSTRUCTIONS, TERMS AND CONDITIONS, PREPAID RETURN SHIPPING.LABEL WITH MAP AND RETURN STICKERS, PROOF OF PURCHASE WITH SERIAL NUMBER, ONLINE CERTIFICATES OF RECYCLING. State Restrictions: NOT AVAILABLE IN AK, HI, PR, VI. 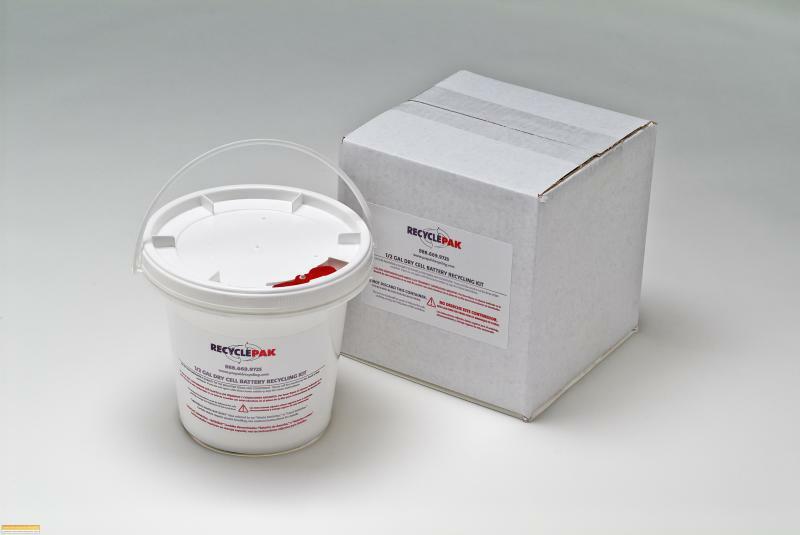 UN RATED, DOT APPROVED RECYCLING CONTAINER, 6 MIL POLY LINER, LINER TIE, INSTRUCTIONS, TERMS AND CONDITIONS, PREPAID RETURN SHIPPING.LABEL WITH MAP AND RETURN STICKERS, PROOF OF PURCHASE WITH SERIAL NUMBER, ONLINE CERTIFICATES OF RECYCLING. 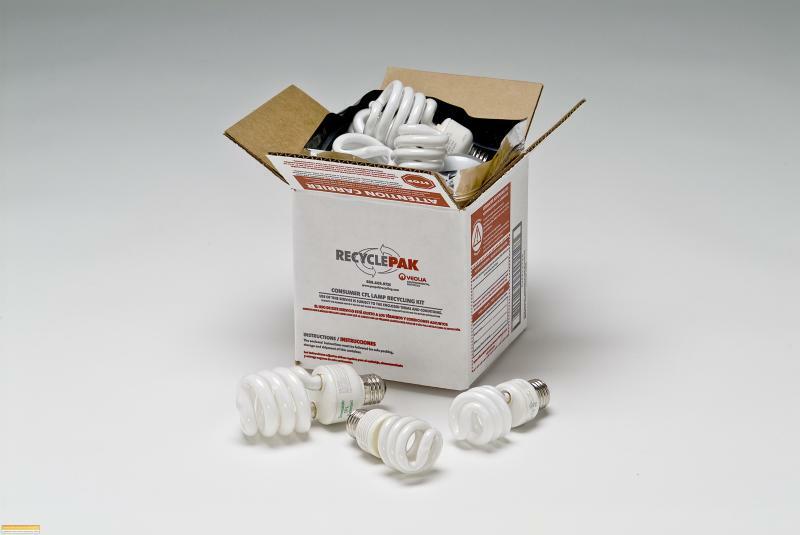 Includes: UN Rated, DOT Approved recycling container, inside structual tube, 6 mil poly liners, liner tie, instructions, terms and conditions, prepaid recturn shipping label, proof of purchase with serial number and online certificate of recycling. 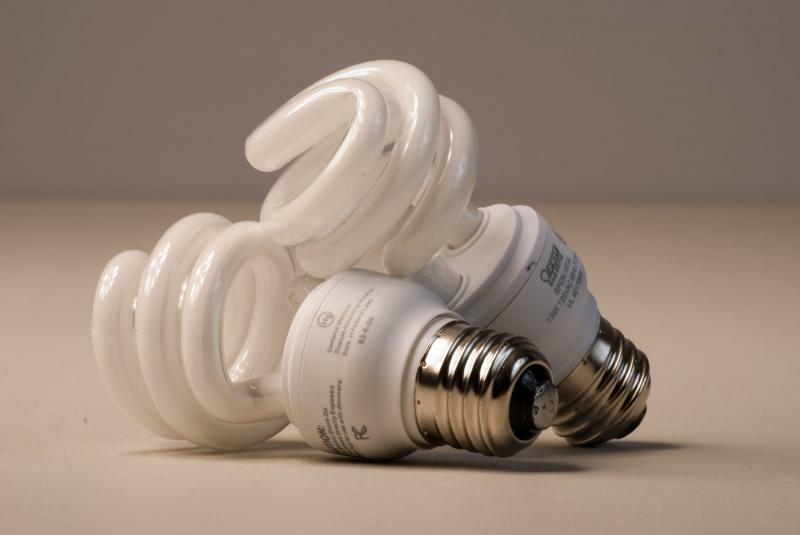 PURCHASE WITH SERIAL NUMBER, ONLINE CERTIFICATES OF RECYCLING. Return Policy: RETURN POLICY APPLIES. SEE POLICY FOR DETAILS. 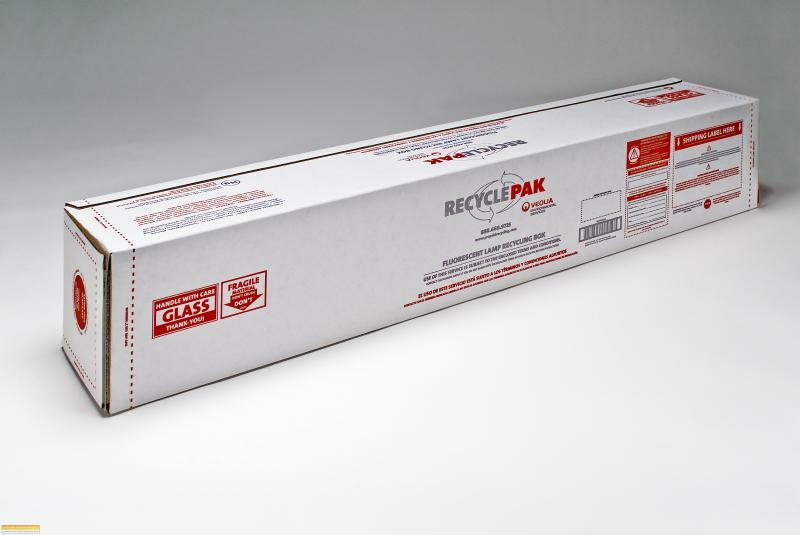 PREPAID RETURN SHIPPING LABEL WITH MAP AND RETURN STICKERS, PROOF OF PURCHASE WITH SERIAL NUMBER, ONLINE CERTIFICATES OF RECYCLING. Notes: HIGH DENSITY PLASTIC WITH VAPOR TIGHT LID. 5 GAL PAIL‐ Outside Top Diameter (inches) 14.17"
Outside Bottom Diameter (inches) 10.53"
Outside Height (inches) w/ cover 14.57"
Inside Top Diameter (inches) 11.97"
Inside Bottom Diameter (inches) 10.44"
Includes: UN RATED, DOT APPROVED 1/2 GAL RECYCLING CONTAINER, 6 MIL POLY LINER, LINER TIE, INSTRUCTIONS, TERMS AND CONDITIONS, RETURN SHIPPING.BOX, PREPAID RETURN SHIPPING LABEL WITH MAP AND RETURN STICKERS, PROOF OF PURCHASE WITH SERIAL NUMBER, ONLINE CERTIFICATES OF RECYCLING. 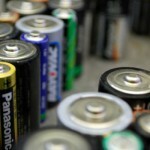 DOT LIMITS ON LITHIUM CONTENT IN BATTERY AND CELL. ALL BATTERIES MUST BE TAPED TO PROTECT AGAINST SHORT CIRCUITS. 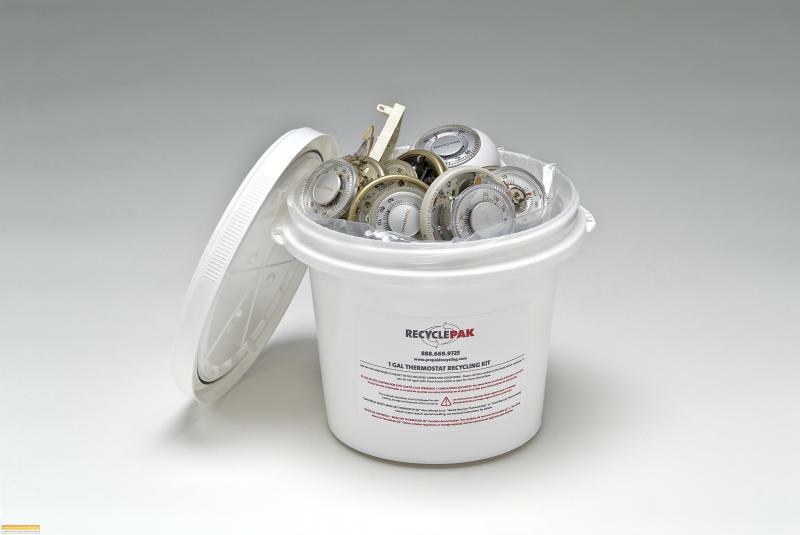 Outside Top Diameter (inches) 7.73"
Outside Bottom Diameter (inches) 5.22"
Outside Height (inches) w/ cover 6.93"
Inside Top Diameter (inches) 6.25"
Inside Bottom Diameter (inches) 5.00"
UN RATED, DOT APPROVED 1 GAL RECYCLING CONTAINER, 6 MIL POLY LINER, LINER TIE, INSTRUCTIONS, TERMS AND CONDITIONS, RETURN SHIPPING.BOX, PREPAID RETURN SHIPPING LABEL WITH MAP AND RETURN STICKERS, PROOF OF PURCHASE WITH SERIAL NUMBER, ONLINE CERTIFICATES OF RECYCLING. DOT LIMITS OF 1LB OF ELEMENTAL MERCURY IN TOTAL INSIDE CONTAINER. HIGH DENSITY PLASTIC WITH VAPOR TIGHT LID. 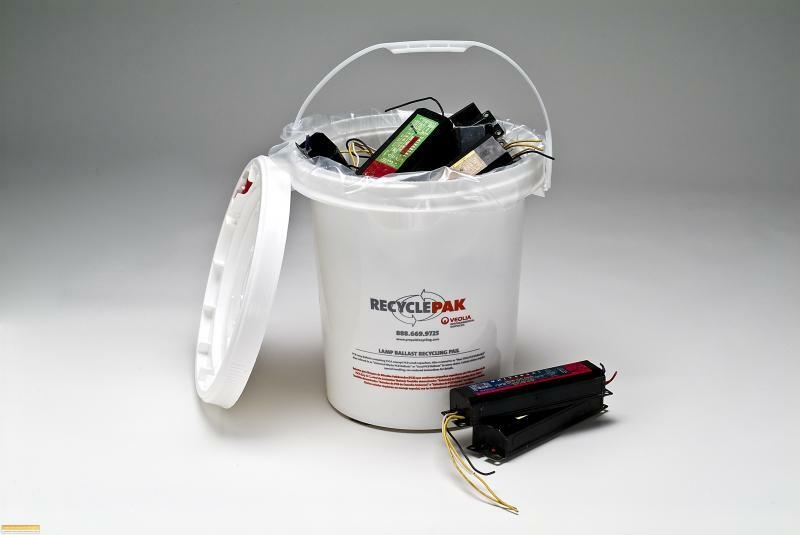 1 Gallon pail‐ Outside Top Diameter (inches) 10.513"
Outside Bottom Diameter (inches) 8.00"
Outside Height (inches) w/ cover 7.08"
Inside Top Diameter (inches) 8.25"
Inside Bottom Diameter (inches) 6.75"
Copyright 2015 Northeast Recycle Group. All rights reserved.